Don't blow your retirement to send little Johnny or Joanie to a needlessly expensive college. HUNT VALLEY, Md. (TheStreet) -- In 32 years of providing financial advice, the one thing I wish I could always stop is a parent blowing their retirement to send little Johnny or Joanie to an expensive college. Here's a hint why: Statistics show that students graduating with a college education from state schools or Ivy League schools make the same income after five years from graduation. The key in today's world is what students do with their college educations. Do they get an advanced degree? Do they get certified in software or accounting? Undergraduate degrees do not seem to prepare most students for a career. If your child's college plans are hurting your retirement, you should probably reconsider those college plans. Parents who can ill afford to send their child to a school at a cost of $20,000 to as much as $50,000 each year may be sabotaging their retirement for nothing. I can understand sacrificing for your children, but it is not prudent to send your child to a school you cannot afford if there is no logical reason to believe the sacrifice will produce results. There is a saying I believe in: "If a parent determines a college budget, education can be very affordable, but if a parent lets their child choose the college, education will be painfully expensive". Every child I have seen with an option to choose between a school with scholarships and net cost of $20,000 and a college with no scholarships and a cost of $40,000 will choose the expensive one. College is very important, but it can also be very affordable. While it is good and honorable for a parent to want to help their child get through college without debt, there are many ways that can happen. For some reason few consider the military or Peace Corps option; in the 1970s most of my college friends worked day or night to help compensate for college costs. Many a student has worked for a company that paid their tuition and went to college at night and on weekends. 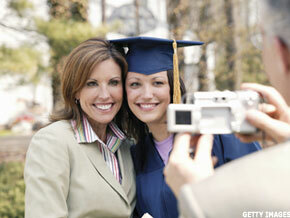 Parents must plan to help their child pay for college without sabotaging their goal of financial independence. Andrew Tignanelli, CFP, CPA, is president of Financial Consulate, based in Hunt Valley, Md., and a member of NAPFA, the National Association of Personal Financial Advisors. This commentary comes from an independent investor or market observer as part of TheStreet guest contributor program. The views expressed are those of the author and do not necessarily represent the views of TheStreet or its management.